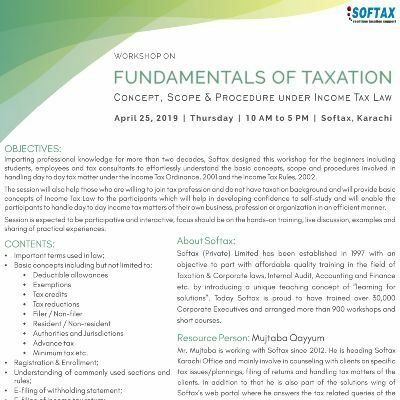 Imparting professional knowledge for more than two decades, Softax designed this workshop for the beginners including students, employees and tax consultants to effortlessly understand the basic concepts, scope and procedures involved in handling day to day tax matter under the Income Tax Ordinance, 2001 and the Income Tax Rules, 2002. 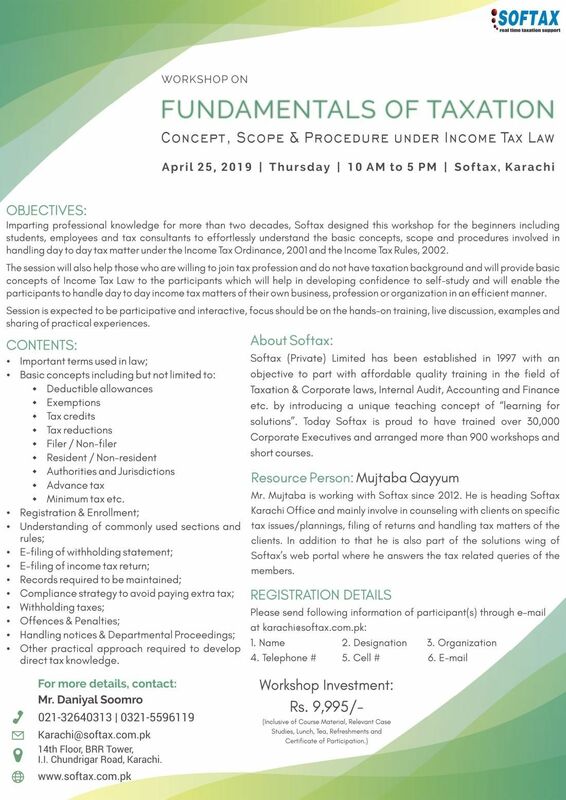 The session will also help those who are willing to join tax profession and do not have taxation background and will provide basic concepts of Income Tax Law to the participants which will help in developing confidence to self-study and will enable the participants to handle day to day income tax matters of their own business, profession or organization in an efficient manner. Session is expected to be participative and interactive, focus should be on the hands-on training, live discussion, examples and sharing of practical experiences. Other practical approach required to develop direct tax knowledge.